Honda has shown its continuing confidence in TransDevelopment as the developer for the rail access at its newest North American assembly plant. 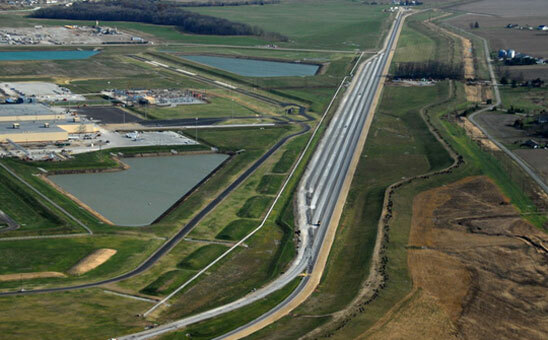 The trackwork to support the new finished vehicle facilities at the Greensburg plant required the closure and relocation of three miles of the Rail America mainline between Cincinnati and Indianapolis. TransDevelopment was selected in late 2006 as Honda’s design-build turnkey general contractor. Seven loading tracks and four setout tracks were planned, designed, and constructed along with the new mainline. The project, which included eleven total miles of new track, was completed in twelve months.